Assessing fabrics against Vestiges, a tiny Ruins piece, in the top right hand corner. Maybe I am just easily pleased but the last 7 days have been wonderful! 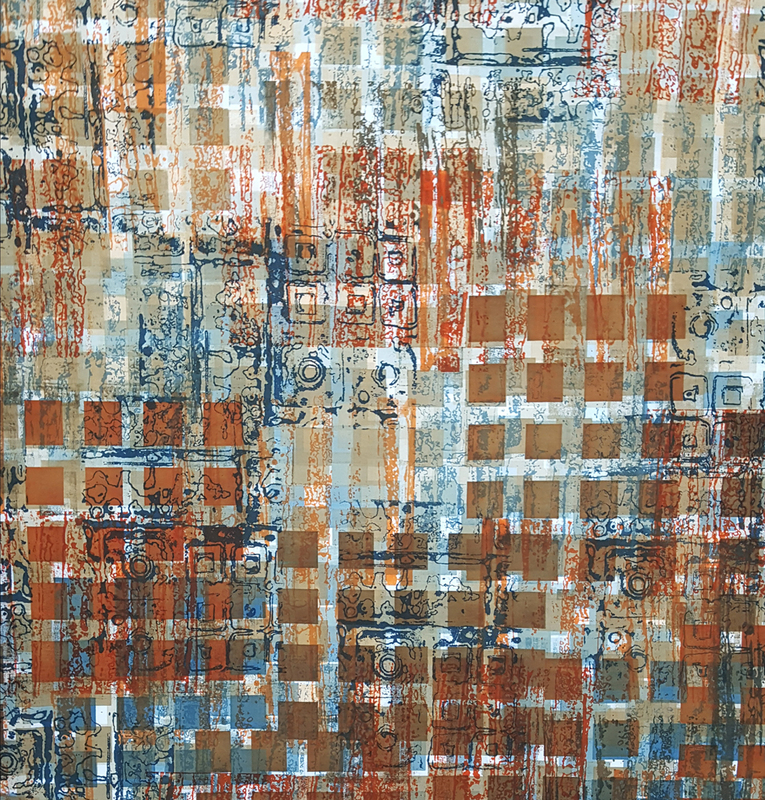 I set my teaching ‘stuff’ aside and have immersed myself completely in printing (and dyeing) fabrics for the next pieces in my Ruins series. I also took the opportunity to include a couple of lazy mornings and have ‘allowed’ myself to finish early in the evenings. Frankly I have been working long days in recent months to get the teaching / studio launched and needed a little holiday. I also needed to get back to making art and this has been the kick start I needed. Lots of September sunshine helped dry breakdown screens quickly and meant that I could soda soak and dry fabrics easily. A couple of pieces still need to batch overnight, and I have a small mountain of fabric to rinse, but I am a very happy artist today. I have printed / dyed about 20 square metres of fabric. 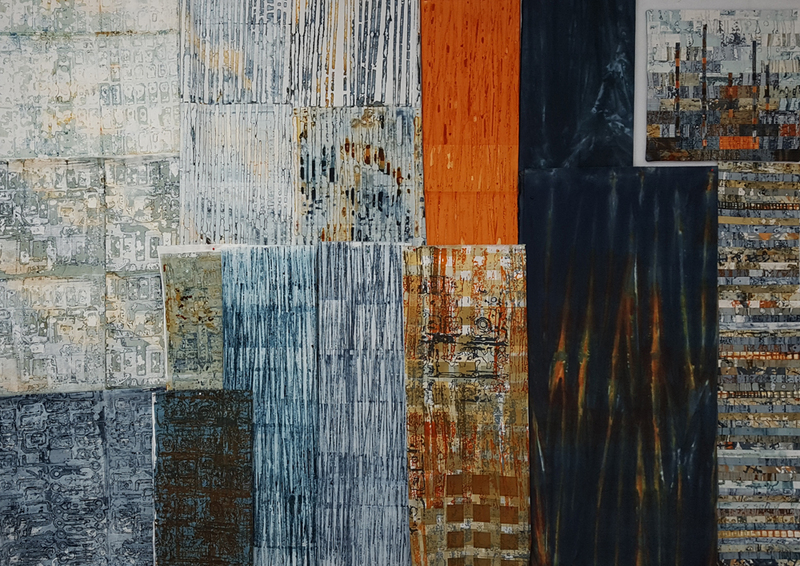 I may need to tweek the colour balance slightly but I have the basis for the Ruins pieces that I will be creating for my solo exhibition at next years Festival of Quilts. Although breakdown printing is the back bone of the Ruins series I have always included other surface design techniques. My work can be quite incestuous - I take photos of breakdown screens and breakdown printed fabrics and use them to create thermofax screens which then get used to print more Ruins fabrics. Love it! I need to get back to teaching ‘stuff’ and a building project next week but I’ll be leaving all my new fabrics pinned up on my design wall to inspire me!